The Valentino Beauty Pure / Whale Spa LK 320 polish display unit is not only eye-catching but completely versatile and useful. Enjoy plenty of storage space, including under cabinet storage, as well as a large polish display area topped with a space for your spa or salon logo. Made of durable and long-lasting painted hardboard, this unit is available in both Khaki and Cappuccino colors. With plenty of space to display hundreds of nail colors, this unit can also be used as a display for other products. 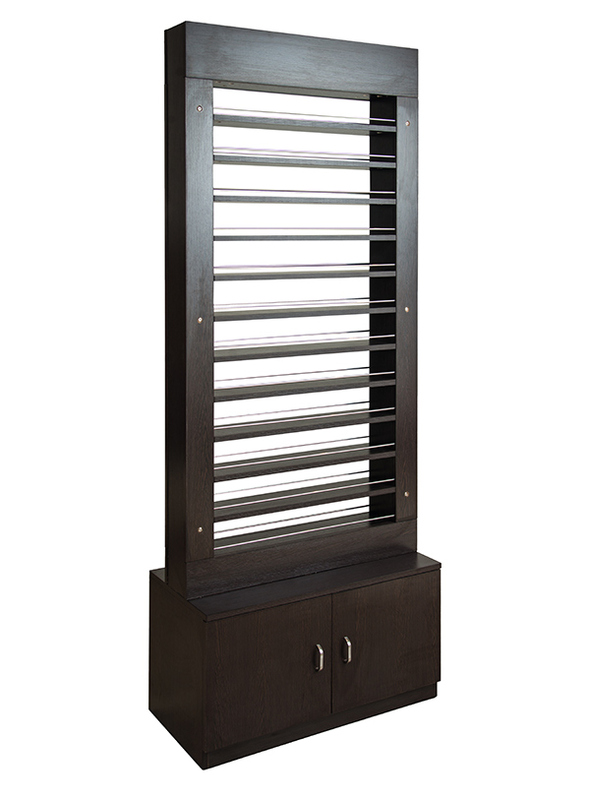 With a bottom cabinet for even more storage, you will find that this rack is one you turn to time and time again for convenient storage of more than you thought possible. Keep your spa or salon tidy and organized and offer your customers a beautiful display rack from which to choose their nail colors.